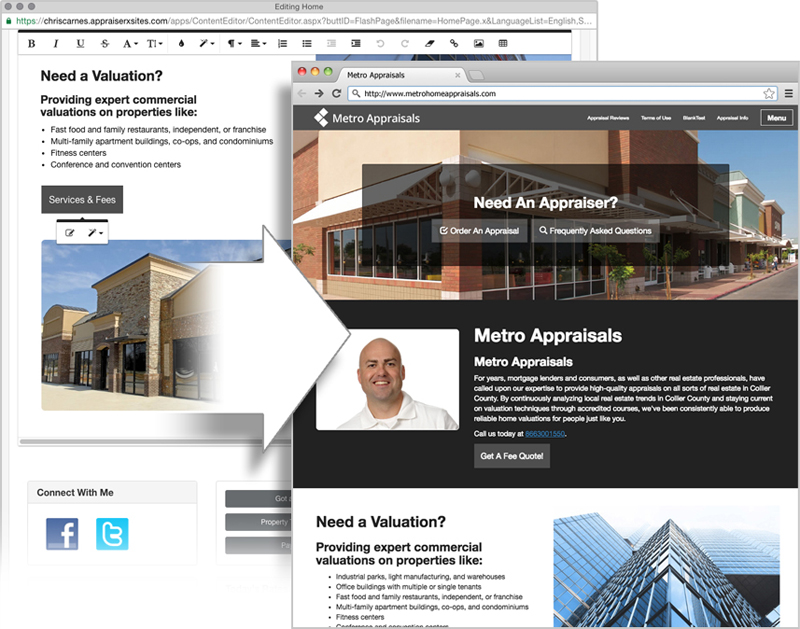 With XSites, you get an easy-to-use, professional-looking website. 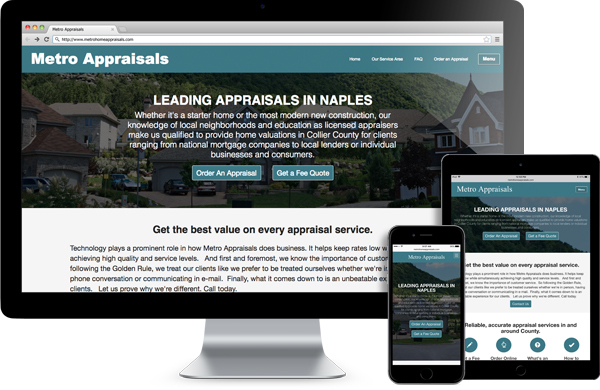 With content designed specifically for appraisers and easy ways to contact you, you’ll attract new non-lender clients and keep the old ones coming back. 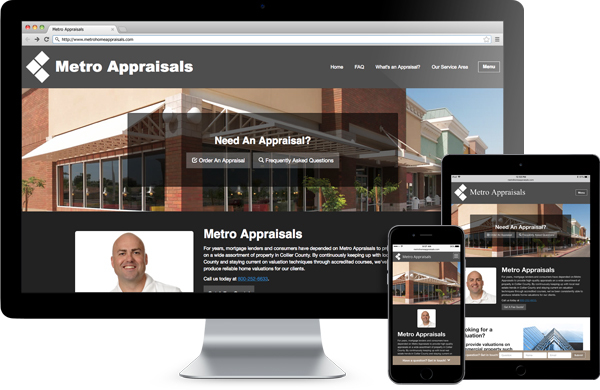 Potential clients are searching for appraisers at the coffee shop, on the phone, or from the couch with their iPad. Don’t miss an order because your site doesn’t show up in mobile search engines or visitors hit “back” when your site is hard to navigate. 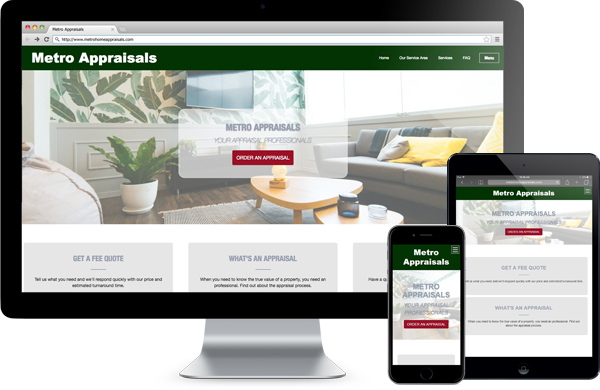 With new mobile-friendly designs and an interactive service map, you’ll sell across every device. Better still, Google prefers these designs, so you’ll likely show up higher in search results. 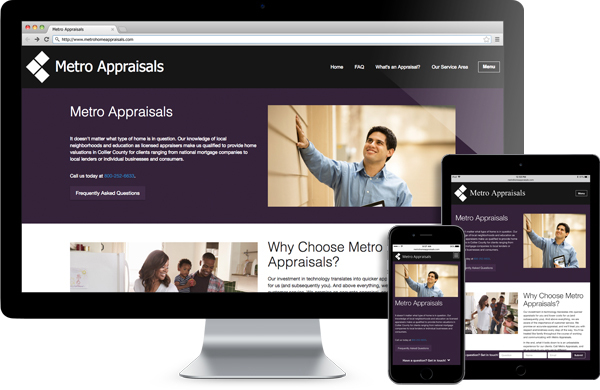 “My a la mode XSite has been a major factor in the success of my appraisal business and is where 95% of my business comes from! It is my only form of advertising other than a tailgate sign on my pickup. I don’t have a phone book listing, advertise, or an office with a sign out front. Your website is pre-built. Simply choose your domain name (“.com”), which pages you’d like, and a design — then you’ll be online in minutes. All your company data flows into your XSite, and our GhostWriter technology even customizes your web pages to be unique to you. 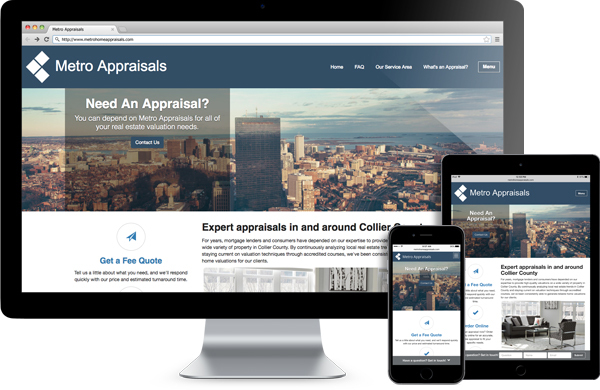 And it’s stocked with hundreds of pre-written appraisal-specific pages (including videos) you won’t find elsewhere, and lead capture forms designed to turn anonymous visitors into clients. Plus, everything can be customized with our simple built-in text editor at any time. 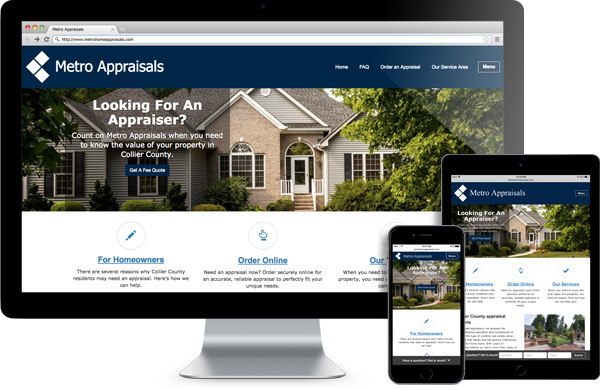 All your non-lender niches will be covered too, including pages geared toward attorneys, homeowners, and more. You won’t be left to rack your brain with what to say, how everything should look, or how it all should be built. XSellerate is your automated, proactive marketing expert. 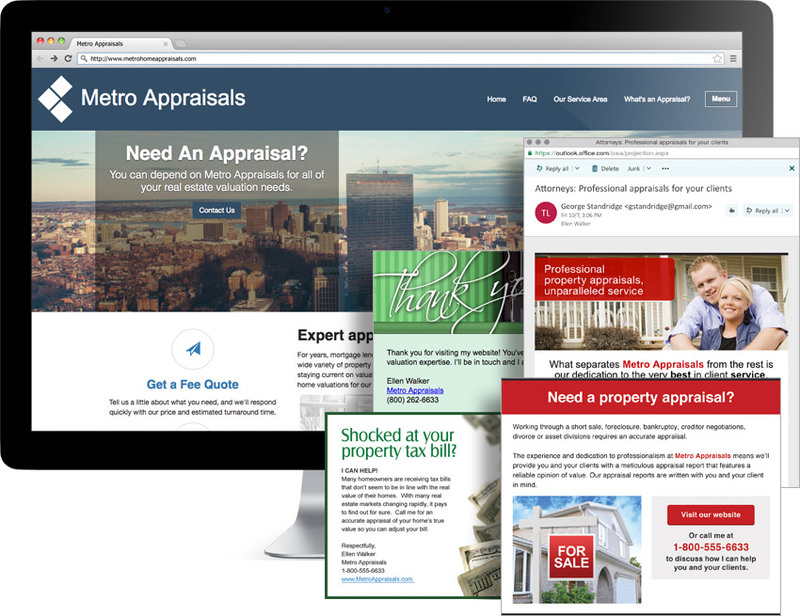 Unlike generic emails, its huge library of pre-written, customizable marketing pieces are aimed at specific non-lender niches like attorneys, homeowners, etc. In minutes, you’ll set up proactive campaigns that send email marketing messages automatically. 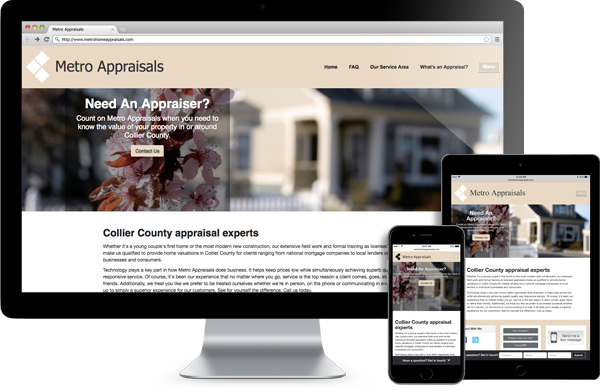 The pieces range from holiday e-cards to reasons to order an appraisal. 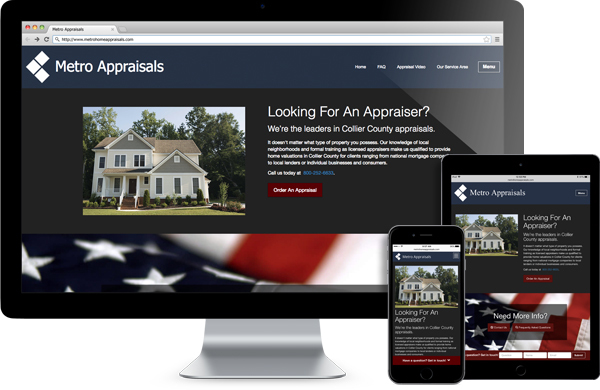 Clients may not know what goes into an appraisal. Your work has become dramatically harder with increased requirements and more research. Use the content in your XSite to educate. Set up XSellerate emails that do things like explain why your square footage is more accurate than what’s on the MLS. Once they understand your process, it will be easier to raise fees. Search engines like Google reward sites with fresh content by ranking them higher. 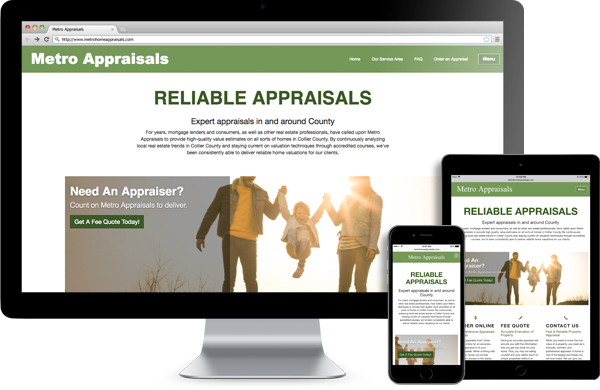 So, if your website has old, stale content, you’re probably not showing up when people search for appraisers in your area. Our GhostWriter technology solves this problem and constantly keeps your site updated with new, unique content. It takes your information (such as specialties, service areas, etc. ), inserts them into pages written by marketing experts, and remixes the content in millions of unique ways. The results are impressive and read like a real person wrote them. Plus, you’ll be listed on XSitesNetwork.com for more exposure to potential clients. 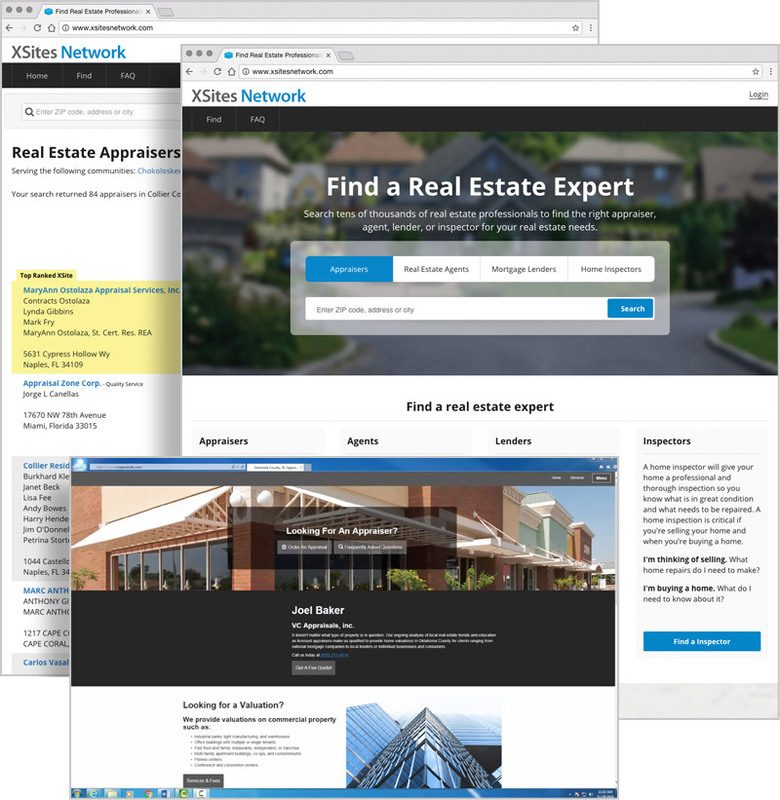 There were over 400,000 referrals from the XSites Network alone in the last year. 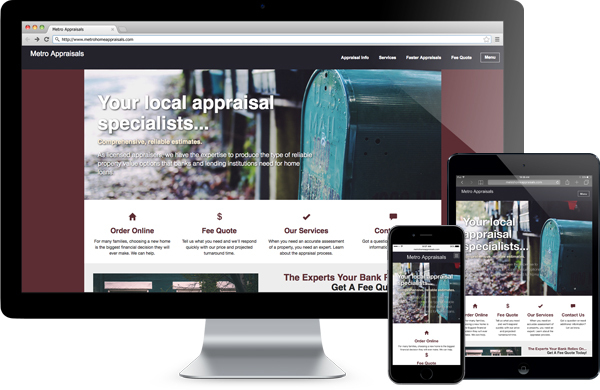 Getting people to your website is great, but you also have to capture their information. 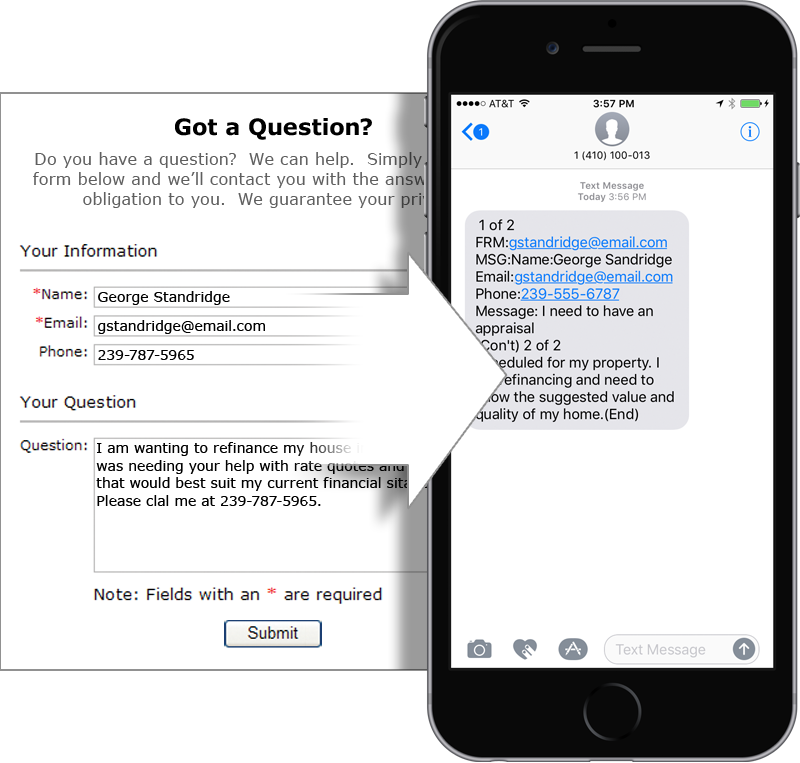 Use our “Got a Question?” and “Contact Us” forms or, for even more non-lender leads, add specifics like “Need an appraisal for PMI removal?” or “Property taxes too high?”. Or, try our popular Fee Quote page so visitors can request a quote. When filled out, the lead information is sent straight to your email and cell phone, so you can respond in record speed. You’ll be able to follow up quickly before they go elsewhere. Lastly, with XSellerate, those prospects are automatically added to the perfect marketing campaign based on the form they filled out. Once those non-lender orders start pouring in, you'll need a way to keep track of the money you're owed. With an XSite, you'll get features inside Titan Office that will make a dramatic difference in your bottom line. From integrated credit card processing to defining Job Types and Client Fees, XSites come equipped with tools to help you run your entire business with fewer hassles and more profit. 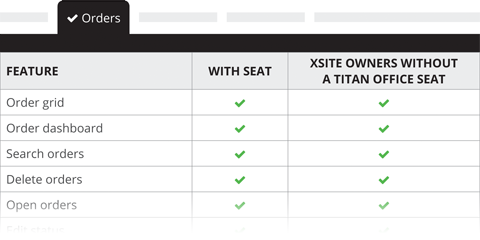 See which Titan Office features you have access to just by owning an XSite. Setup fee tables to charge different fees for different clients without advertising it. Clients can log in to your site to make payments, see what’s due, and more. 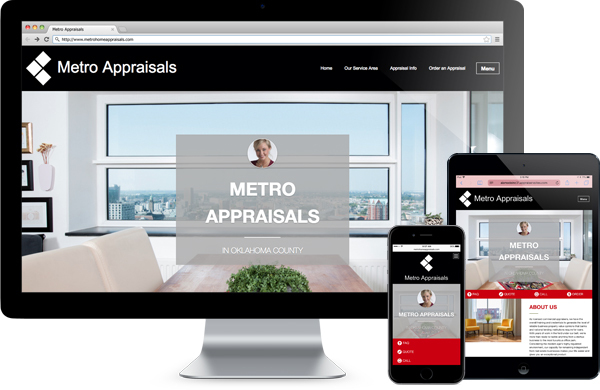 Plus, once the order is assigned, the appraiser’s split is automatically calculated based on your custom fee table. An XSite will help you get more high-fee, non-lender leads and turn them into clients. 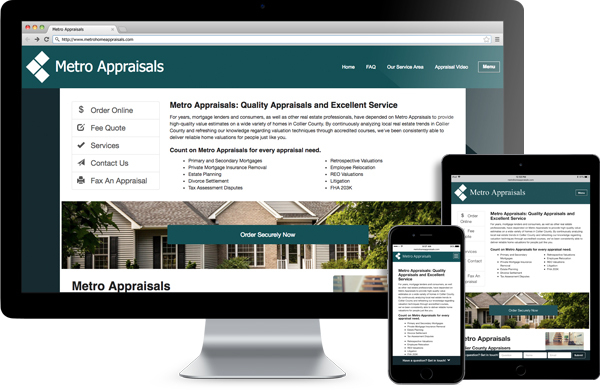 And, since they aren’t generic websites and are built for appraisers, it also helps you complete your appraisals faster, get paid quicker, and generate referrals and repeat business. In fact, we guarantee it. If you’re not 100% satisfied with your XSite in 100 days, we’ll refund every penny. Go ahead and give it a try. Your XSite will be up and running in minutes. Get a trial, buy now with no risk, or upgrade to the Elite System and get it included.